Are Dementors breeding in London right now? Or is apocalypse upon us already? A thick blanket of fog envelopes the Queen's country and it's disrupting aviation, daily commuting and sending the city's ports into a flutter. Pictures from the city, both stunning and scary, have flooded social media. 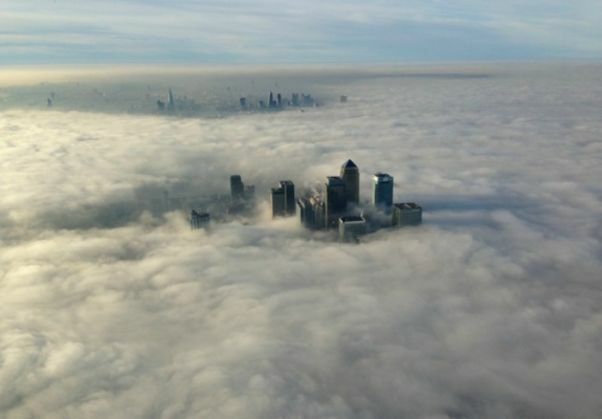 This is the second day of continuous, dense fog and about 45 flights scheduled to fly from the three major airports of London, have either been delayed or canceled. The London Met Department has issued a Yellow Card (read, warning) for London and East Wales, as visibility reduced to a mere 100 metres. The anatomy of a liberal or the lobotomy of Chetan Bhagat? READ NEXT >> The anatomy of a liberal or the lobotomy of Chetan Bhagat?